A field sobriety test is just that - a test intended to determine a person's sobriety (or level of intoxication) in the field, or prior to the arrest and transport to the police station. A field sobriety test is a voluntary test performed during a DUI stop. If the police officer believes you are under the influence of alcohol, he or she may ask you to perform certain tests to determine your level of impairment. There are only three standardized tests approved by the National Highway Traffic Safety Administration: the one-leg stand, the walk and turn, and the horizontal gaze nystagmus test. The one leg stand requires the subject to stand with one foot raised in the air for an unknown amount of time, while counting. The walk and turn test requires the subject to take a number of steps along an imaginary line, pivot a turn and walk the same line back. Both of these tests are made up of several components which must be perfectly executed in order to avoid "failing" the test. The horizontal gaze nystagmus test measures the involuntary jerking of the eye, evident when a person is under the influence of alcohol or drugs. The officer will look for clues in each eye. If he or she sees four out of six clues, the driver will have "failed" the test and will likely be arrested and charged with DUI. Other non-standardized tests include standing with feet together and tipping the head backwards, naming the amount of fingers the officer raises, reciting the alphabet, finger-to-nose touch, and counting backwards. These tests are completely voluntary and not required. If you were involuntarily forced to take these tests, call our office to challenge your results. Are field sobriety tests always effective? Field sobriety tests are judged by negative scoring. A driver does not get credit for passing a test, but will be marked down for performing slower than the officer’s expectations or even asking for instructions. The test can be completed successfully, but the officer has the ability to fail the driver for performing slowly or any other arbitrary reason. Standardized tests such as the horizontal gaze nystagmus test are likely to be administered improperly. There are numerous medical and neurological conditions that can cause involuntary eye movement. Further, an experienced Birmingham DUI attorney can attack the officer's testimony in this area and successfully keep the test results away from the jury. Police officers in Alabama frequently use non-standardized tests that have been held by Alabama courts to have no reliable scientific value. Exercises such as the alphabet test, the finger count test, touching finger to nose test, balancing test, and counting backwards are some of the common tests administered to judge sobriety. An experienced Birmingham DUI attorney can easily defeat attempts to use these test results and effectively defend a charge of DUI. Even the official field sobriety tests are commonly administered by police officers in a manner that the National Highway Traffic Safety Administration would not approve, and that opens the door for an experienced DUI attorney to attack. These exercises do not accurately measure the impairment of an individual, and are often times administered inaccurately and without compliance with standardized testing procedures. 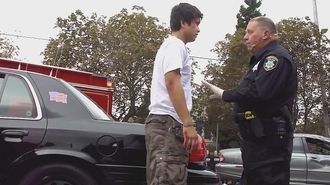 There are many valid reasons that a person may fail a field sobriety test. Not all failures indicate intoxication. Medical conditions, physical handicaps, improper instructions, difficult terrain, poor lighting, and nervousness can all explain poor results on any given field sobriety test. If you have been charged with a DUI after failing a field sobriety test, do not give up. If you feel that you were involuntary forced to take a sobriety test, or if you believe you were judged unfairly or improperly, contact attorneys Bobby Hornsby and Matthew Hornsby, experienced DUI attorneys who can help challenge your results today. For a free consultation call (205) 856-1000.